Tips for the New Immigrants in Any Country | Go For Visa | Australia Immigration Consultant & Visa Experts in India. Visiting another country apart from your nation is an exciting thing yet you need to be ready to mingle with their culture. Let’s look at some of the important factors that you need to consider while being as immigration in any country in the world. The visa consultants are also comes in very hand to solve all your issues. At first you need to be prepared of their culture and language in order to cope up with it. The culture can take some time for you to settle in but you have to be focused on learning the local language very well. 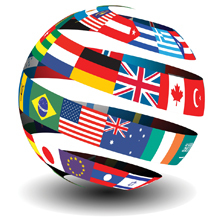 There are lots of resources available for you to learn any languages very much easily and free of cost. After learning the languages, it is time for you to open up you to make some new friends in the country. Apart from settling in, you also need to understand the rules and regulations in the country in order to avoid making troubles for yourself. The immigration experts can be a big help when it comes to getting guidance on this matter and you also need to realize its importance while living in any country in the world. If you are staying in the country with Study Visa then you have to know its requirements and limitations which can help you in doing a peaceful and enjoyable education without any issues. It is important for you to access the status and culture of the country in order to work through your way to settle in accordingly. There are some friendly countries; there are some busiest countries; there are some peaceful countries; there are some not so friendly countries in the world. At the same time, it is all depends on how you approach them according to their culture and behaviors. This is the reason why it is highly suggested for you to access their culture before actually approaching them. You can also get some guidance from the internet blogs and websites to make it easier for you. For example, if you are working abroad at any country as an immigrant, you must make some friends. This requires knowledge about their culture and language so you need to concentrate on both the things carefully.